Working in fast-food is hell. All the employees are zombies, and you can't find a single brain amongst them. 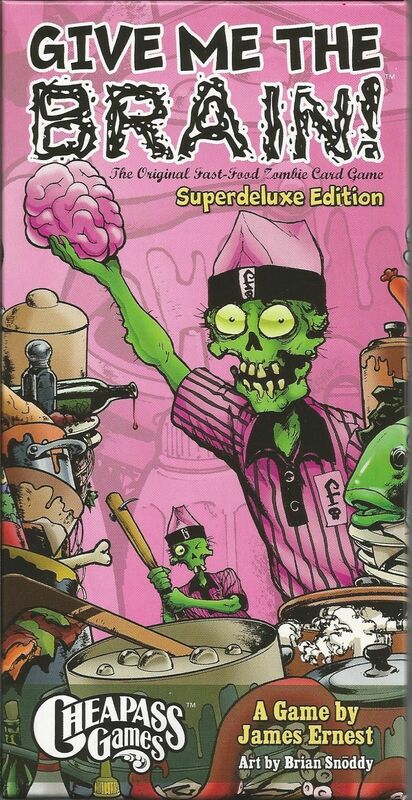 Except for the brain part - there is, in fact, one brain - that's the premise of Give Me the Brain!, a card game in which players take on the roles of zombies in a fast-food restaurant in hell. They all have to complete a number of tasks before leaving work, and the work keeps piling on. Even worse, some of the tasks require basic intelligence and there's only one brain to go around.